Cheryl Van Sciver has been practicing yoga for several years and in many styles. Like many people, she first came to yoga for its physical benefits. After committing to a regular practice, she began to incorporate yoga philosophy and teachings and has seen firsthand the benefits that a regular yoga practice can bring to a person’s life. Peace of mind, physical healing, and spiritual awakening have all been part of her journey. As she began to feel the transformative power of yoga in her own life, she was inspired to share her experiences with others and completed her 200-hour Bhakti Method Yoga Teacher Training. Cheryl also trained at Budokon University in Miami, Florida with Cameron Shayne and is certified to teach Budokon Yoga. She is a registered yoga teacher through Yoga Alliance. Cheryl believes passionately that yoga is for people of all ages, at any level, and from all walks of life, and she tries to convey that message both by example and as a teacher. Cheryl’s educational background is in Health Sciences, and she also has a Masters in Business Administration. Cheryl is a life-long South Jersey resident, avid skier, and proud mother and grandmother. A strong believer in community service, Cheryl is the recipient of the prestigious NJ Commendation Medal for her volunteer efforts on behalf of military families. 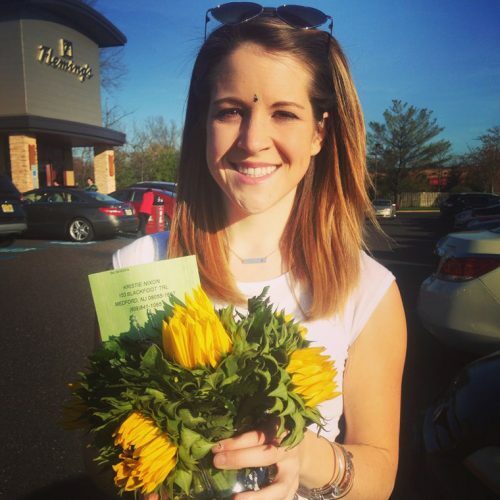 South Jersey Magazine also named her a South Jersey Superwoman. Kate started her yoga journey 5 years ago as a form of exercise. She started practicing once a week and quickly progressed to making time on her mat almost daily. When her practice evolved and became both physical and spiritual, Kate knew she had to dedicate herself to sharing the yoga lifestyle and signed up to become a certified 200 hour Hot Vinyasa Instructor. Recently Kate got a second certification in Budokon Yoga, which is a blend of yoga and mixed martial arts in a constant moving meditation. Katie also works at Rizzieri Studio Salon, an AVEDA concept salon, in Voorhees as a Senior Stylist. Katie fell in love with the AVEDA mission of being a natural products company with a commitment to the environment. 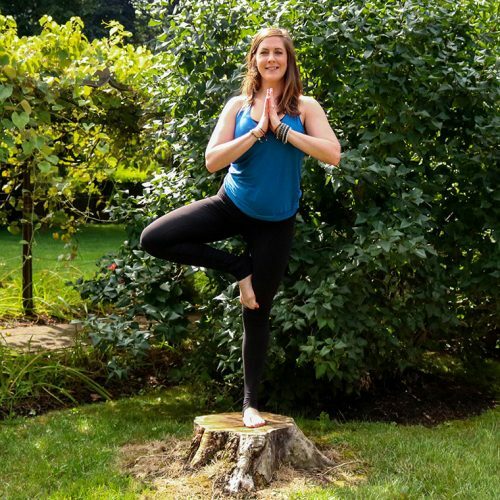 Kate’s passion for balance within the body and the environment has inspired her to help others down this path of mindful wellness and healthy living. Her passion for life is absolutely contagious, as well as her signature laugh. Kate is a life-long South Jersey resident and shares her alma mater with Cheryl – both are proud Rancocas Valley Red Devils. She spends her free time connecting with her close-knit family and friends and you can even find her on the golf course. Kate’s future goals include pursuing her certification to become a certified Ayurveda nutritionist. Eric has proudly supported Kate’s dream of Balanced Planet Yoga from the start. He sat right by Kate & Cheryl putting together Ikea furniture and making sure to keep Cheryl’s kids fed. His positivity and support are a big part of BPY’s success. So it was only natural, when he made the decision to become a yoga teacher. As a life-long believer in the benefits of fitness, Eric brings a unique perspective to the practice of yoga; and oh those abdominal workouts! 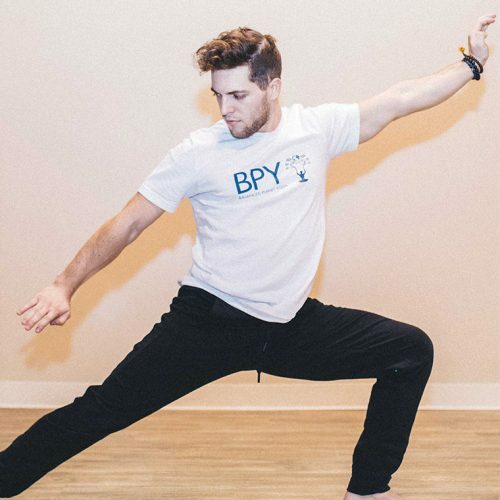 Eric teaches BPY Flow and BPY Flow RED classes at the studio. Jenna’s philosophy about fitness revolves around the singular concept that every person is a unique individual. She has found that there is just no one size, fits all model that is capable of addressing her client’s goals, likes, dislikes, and motivation style. Just as her own personal fitness journey has had successes and failures, Jenna’s clients also come to her with these same stories. Part of Jenna’s ability to form lasting relationships with her clients is her ability to really hear what her clients are saying and craft a fitness plan that puts them on the path to their vision of health and wellness. Jenna’s training style has developed through a mix of education, former military service, life experience, and focusing on the types of movement she is passionate about. She has found that by combining what she loves about yoga with the functional aspects of strength and conditioning, she has discovered a blend of movements that not only maximizes results, but does it in a way that reduces the risk of injury and enhances everyday life activities. This makes Jenna’s approach accessible to all levels and all ages. Jenna holds her Personal Training Certificate through the American Counsel on Exercise (ACE) and a Functional Training Certificate from Perform Better. 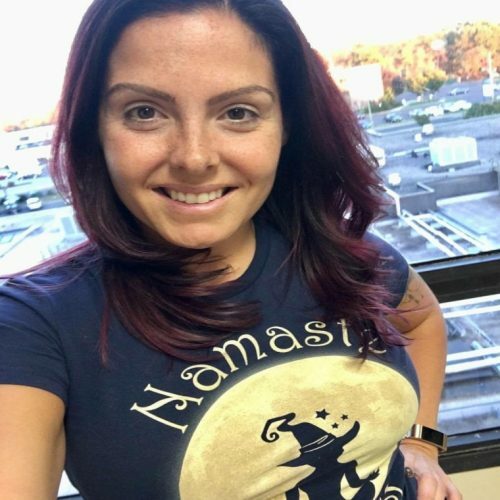 She is Certified through Balanced Planet Yoga to teach YBarre and Yoga Sculpt classes and will complete her Yoga Teacher Training with Balanced Planet Yoga this winter. Wendy Berrevoets has been practicing yoga since she started massage training in 2002. She has experienced the healing of yoga not only physically but emotionally and spiritually. Wendy received her 200 hour Barkan teacher training in July of 2002 and 200 hour Bhakti teacher training in July of 2014. She also completed her 50 hour Budokon Yoga Teacher Training. She is a licensed massage therapist and certified massage instructor specializing in anatomy and physiology. Wendy has a true passion for teaching what she loves to do, helping others grow physically and spiritually. Wendy is the lead instructor for Anatomy for Balanced Planet’s Yoga Teacher Training program. Kelly believes that we can heal our hearts, minds, and bodies through the power of nature. Her path to yoga initially started with her own self-healing work through Reiki for two years. The effects were so powerful that she later became a Reiki practitioner and energy worker herself, studying with shamans in North and South America to learn how ceremonial plant medicine, essential oils, flower essences, precious stones, and other natural healing modalities can transform our physical and mental health. Later, she expanded this energy work into a physical yoga practice with her sister Kate (co-owner of BPY) and was one of the first graduates of BPY’s 200h Vinyasa Teacher Training. Kelly is passionate about working with yogis who are interested in taking their physical practice to new spiritual levels. Her hope is to create transcendent experiences for her students that bring Reiki, guided meditation and sound healing into class to help yogis access higher states of being. Her future goals include becoming certified in Kundalini and Nidra, as well as learning to play the harmonium. Jennifer just finished her 200 hour yoga teacher training right here at BPY. She is certified in vinyasa yoga. She began her yoga journey when BPY opened its doors in April of 2015 and is inspired by the community to spread her love of yoga through teaching. Jennifer teaches the BPY flow, which is a 60 minute vinyasa flow that can help yogis measure their progression in their practice. Jennifer is also the owner of Metamorphasis Family Hair Salon in Shamong. 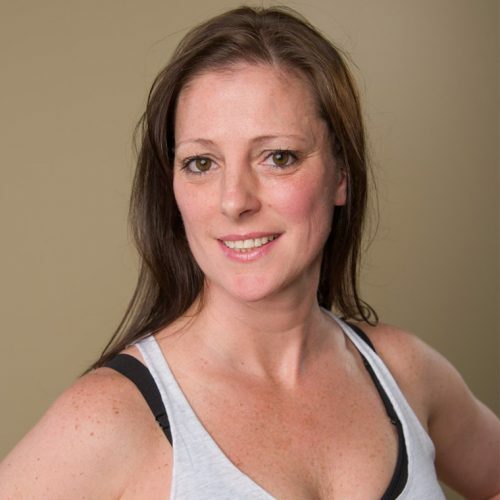 Look for Jennifer filling in on the schedule bringing her love and passion for yoga to our studio. Cat’s yoga journey began in 2009. She soon developed a consistent practice in the studio and at home, with a primary focus on Bikram and Vinyasa. From practicing yoga, Cat soon realized that there was so much more than the physical practice and began to approach yoga with a holistic approach to mind, body and soul. Cat believes that by paying attention to our breath and linking our breath with movement, we can begin to focus on our mind and letting go of the internal and external distractions. This helps both on and off of our mats. Yoga is a lifelong practice, our learning grows each and every day. Cat is a certified 200 hour yoga teacher through Balanced Planet Yoga and certified to teach YBarre through Balanced Planet Yoga. 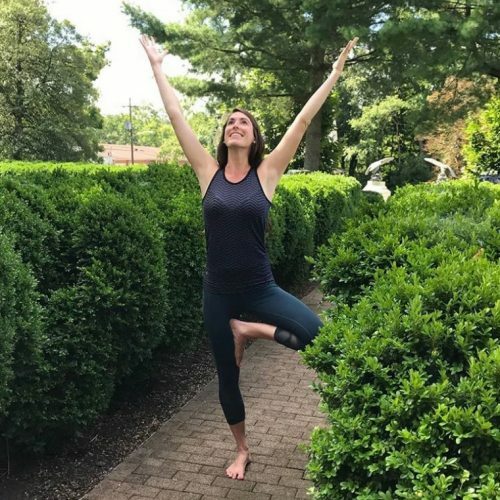 In addition to being a student and teacher of yoga, Cat is a Mom, wife and works full time as the Manager of Mobility for a Law Firm based out of Philadelphia. Melinda was introduced to yoga at the gym in 2012 and it quickly became a part of her exercise routine. As her practice developed, yoga moved beyond just a gym exercise and became more of an exploration on and off the mat. After taking classes with several Balanced Planet Yoga instructors, Melinda felt it was time to expand her knowledge of yoga philosophy and strengthen her personal practice. When she heard that BPY was offering their first Yoga Teacher Training she knew immediately that it was the right place and time to become a yoga instructor. She received her 200-hour vinyasa yoga teacher certification in July 2017 and can’t say enough good things about Kate and Cheryl’s program and instruction. Off the mat, Melinda is a school librarian and keeping with the stereotype really loves her two cats. Melinda also loves to read and will gladly provide book suggestions. Melinda and her husband, Phil, are both natives of South Jersey and enjoy traveling. Their greatest adventure was a 10 week, 14,000 mile road trip across the U.S. in a 1991 VW Vanagon. Tamar ( otherwise known as T ) has spent 20+ years sharing with clients and hairstylists how to better themselves, further their careers and skills. I learned my love for Yoga can have the same effect. Specializing in beginners, seeing change in the body and growth in the mind is where the real work draws me. Both in the studio and in small private groups, I enjoy the seeing the light bulbs ignite and someone’s true heart and passion shine. Besides practicing and teaching yoga, Tamar is a hairstylist, wife and mom of two teenagers. So Yoga fits the need to slow down, regroup, find balance and center. Kristie graduated from a 200 hour Deeper Studies of Meditation and Yoga Teacher Training program. She fell in love with yoga while exploring alternatives to help ease her anxiety disorder. It has been a huge part of her life ever since. During her yoga journey, Kristie’s practice changed when she became pregnant with her daughter, Olivia. With entering a new chapter in her life physically, she focused on creating a healthy prenatal and postnatal practice which helped her develop a deeper sense of body awareness. Over the past years, Kristie has created a spiritual connection with her body and mind. She hopes to bring this healing practice to her students on and off the mat as it has brought her. Megan Stielau completed her Yoga teacher training at The Yoga Center of Medford under Alaine Portner. After graduation, she mentored under Katie Moats, co-founder of BPY, for 3 months. Her yoga training is in Hatha Yoga giving her a broad foundation of many different styles, poses, and sequencing. All her classes include an opening meditation and spiritual elements that ground and facilitate self-discovery while focusing on proper alignment within the individuals’ limitations. Her classes naturally foster inner peace. Megan is a registered Yoga Teacher (RYT) with Yoga Alliance and has over 300 hours of registered teaching experience at the end of 2017. Megan is a certified Reiki Practitioner. Studying crystal bowl vibrational healing, she incorporates her crystal bowls in her Movement and Meditation class on the last Sunday of every month. She enjoys getting to know her students and she keeps active with her husband and 4 children in her free time. Currently, she is building a yoga community in her town of Medford Lakes, with proceeds going towards beautifying the town. In less than a year she has earned the town over $2000 to beautify for all! When she is not spreading yoga she can be seen on local high school lacrosse and field hockey fields officiating. Come to her class to settle, destress and find inner peace. Devon recently completed her training right here at BPY and we’re more than excited she’s joining our team! Devon’s love for yoga blossomed as she began to reap not only the physical benefits, but the emotional benefits as well. As her personal practice grew, she found more ease in everyday life….less anxiety, more control in an often chaotic world. Yoga gave her the tools she needed to find her peace and she knew she wanted to share that with others. Helping others comes naturally to Devon as she works full time as a Registered Nurse at a local hospital. She is the mother of two school aged children who often have her on the go, so Devon appreciates the need for peace and zen! In fact, if she’s not on her mat, you can likely find her in the woods for spending time in nature is her favorite pastime! Devon’s passion and enthusiasm shines through her teaching and we’re happy to have her on the schedule! Heather fell in love with yoga in 1997, when she began to study with an Indian yogi teaching traditional Raja Yoga at a tiny local Unitarian church. Yoga has transformed Heather’s life over and over again, and she teaches because she loves helping her students find that transformative experience for themselves. She believes that one of her primary goals as a yoga teacher is to help her students learn to develop the awareness and stillness necessary to hear the wisdom of the most important teacher of all, the teacher within. 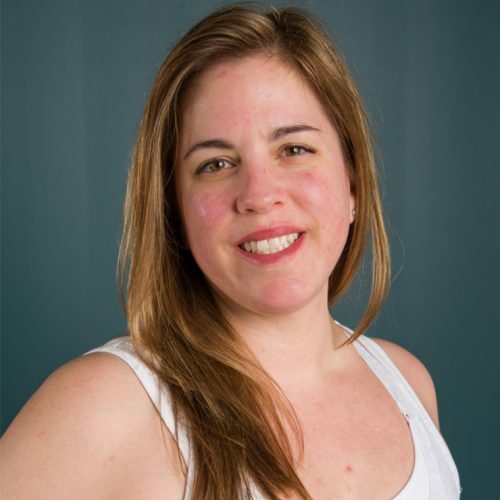 Heather teaches mindful, alignment based slow flow Vinyasa, Restorative Yoga, and Pranayama. While she loves a powerful Vinyasa class, she really values the healing benefits of Restoratives. 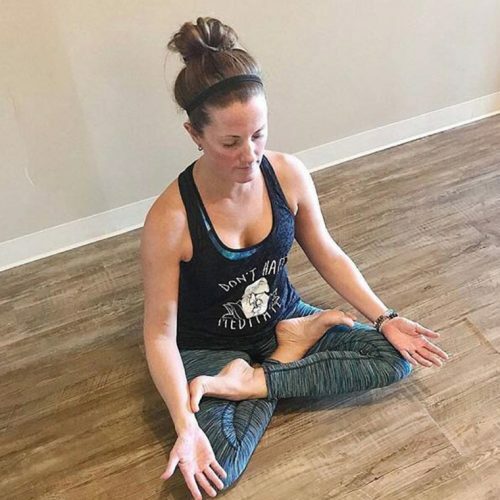 As a practicing environmental law attorney, Restorative Yoga has helped her immensely in countering the harmful effects of stress from daily life. Heather completed her 200-hour teacher training in 2013. Since that time she has taken workshops and trainings with teachers such as Judith Lasater, Jason Crandell, Sadie Nardini, and Leslie Kaminoff. 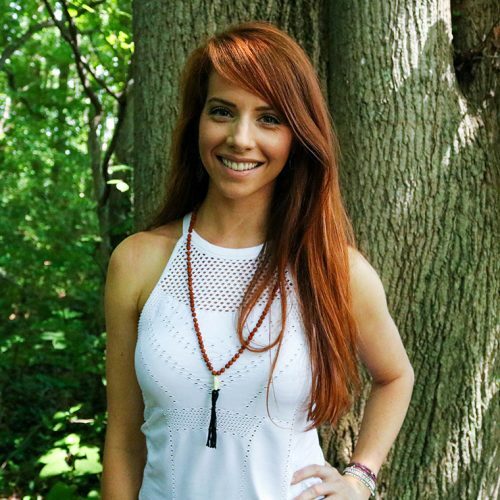 She is currently enrolled in an advanced 300-hour Teacher Training and a Pranayama Teacher Training at Yoga on High in Columbus, Ohio, where she has the privilege to study with the incredible YoHi teachers and with yoga luminaries such as Richard Freeman, Rodney Yee, Ray Long, Kino MacGregor, and many others. Heather’s personal practice includes Ashtanga Yoga and Sanskrit studies with Zoe Mai. Heather loves the energy and the sound of summer rain and the wind blowing through the trees. She loves silence, and hiking, and anything to do with the outdoors. Heather would like nothing more than to one day travel around the country in a motorhome for months on end with her husband and cats. Kathleen started practicing yoga in her early 20’s with her mom. As her interest in yoga grew, she began practicing more and more, but her practice was usually at home watching YouTube videos. After a brief stint with Bikram yoga, she found her flow with vinyasa. It was then that Kathleen realized that yoga was much more than just a workout she enjoyed – it made her happier and less stressed. She wanted to share her love of yoga with all of her friends and family, so she decided to take her yoga practice further by enrolling in a yoga teacher training. She completed her 200-hour vinyasa yoga teacher training at Balanced Planet Yoga’s inaugural YTT in Spring/Summer 2017. Kathleen loves traveling – particularly to anywhere where there’s a beach or an ocean – and is excited to see where yoga will take her. Zach Brown is a 200 hour Budokon Yoga Certified teacher. Spending nearly three weeks at Budokon University in Miami, Florida, Zach trained directly with Budokon’s founder Cameron Shayne. He has also completed two 30 hour Budokon Intensive Trainings and an 8 week academy training. The Budokon Yoga style is best described as a transition based Yoga flow with continuous circular rotation. This Yoga style honors its traditional classical roots of Hatha (asana based) Yoga while bringing a completely unique contemporary Martial Arts circular influence. Zach teaches both beginners level classes and all-levels classes.